I recently won a competition through the Debenhams Beauty Community site to head down to London to their Head Office and take part in filming for a foundation campaign. 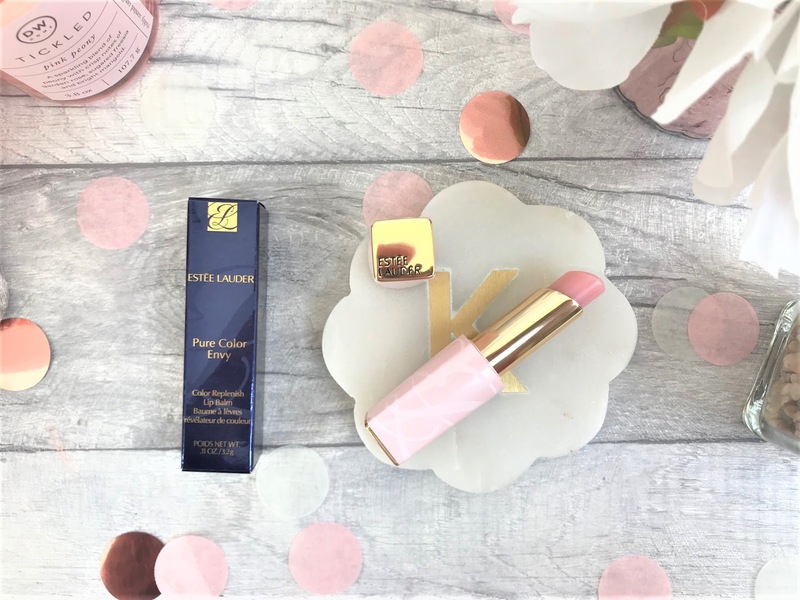 There were four of us, and we each got partnered with a brand, the brand I was partnered with was Estee Lauder, who kindly gave me a bag of some of their new product releases. 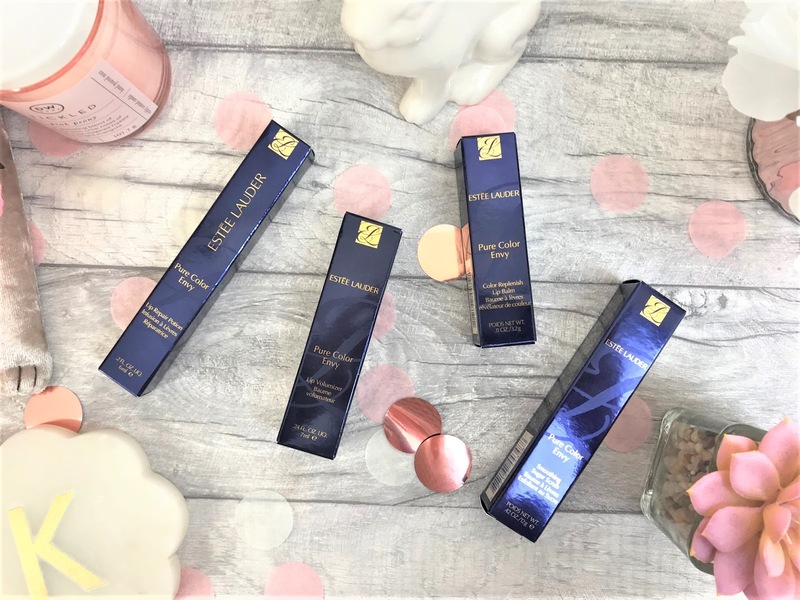 In there, were the new Pure Color Envy lip products, which I had recently been eyeing up last time I went to Debenhams at Meadowhall and I wanted to share my thoughts with you. There are four products in the collection, starting with the Pure Color Envy Smoothing Sugar Scrub (£25.00). This is a specially designed scrub which works like a facial exfoliator, but of course, it is just for the lips. When I saw the collection in Debenhams, the thing that drew me to the products straightaway was that they are all in baby pink packaging, which I really loved, as a lot of products come in dark packaging, but I adore anything baby pink or blue. The Sugar Scrub comes in a squeezy tube and has a slanted applicator so that you can apply it straight to the lips. The formula is clear in colour and smells a little minty, which is not a bad thing when it comes to products for the lips. The exfoliating granules are gentle sugar crystals, and so they are not abrasive on the gentle lip area, but still manage to remove any roughness or flakiness on the lips, to leave them looking and feeling much smoother, ready for lipstick application. My favourite product from the collection is the Pure Color Envy Lip Repair Potion (£25.00). Packaging-wise, this looks like a lip gloss, with its long tube and twist-off wand applicator, but it is in fact a repair product for the lips. Estee Lauder say that it is great for a night-time treatment, to condition, soften, revive and renew the lips whilst you are asleep, but you can use it anytime you feel your lips need a boost. The product inside the tube looks light pink in colour, but it applies to the lips clear and smells slightly sweet compared to the mintiness of the scrub. It is a thick-ish formula, but it isn't at all sticky or gloopy, and I find that it melts into my lips instantaneously, leaving them immediately nourished and looking a lot less dry. We then have the Pure Color Envy Lip Volumizer (£25.00) (apologies for all the American spellings, but that's how they are spelt on the packaging). Again, this is packaged beautifully and looks a little like a lipstick, however the cap twists off and you then have a wand with a sponge slanted applicator, making it super easy to apply. 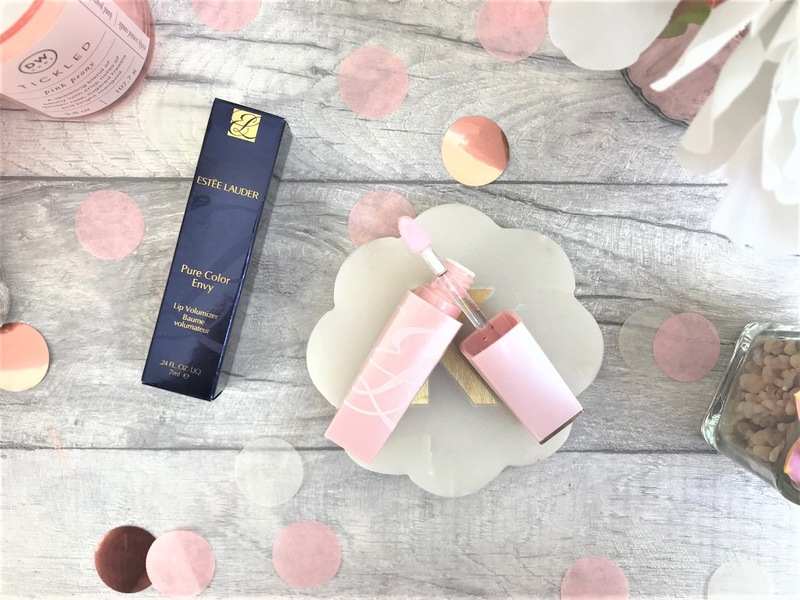 This is the product for those of you who want a plumper, fuller looking lip, but it also moisturises and nourishes the lips, keeping them in tip-top condition. The formula looks baby pink, but once applied, it responds to your lips' unique chemistry to reveal a hint of tint that is perfect for your skin tone. I don't notice much of a scent with this product, and it is slightly thicker, but again not sticky, and so totally wearable. As this does have a plumping effect, you do experience a very slight tingle, but by far the slightest sensation I have felt whilst using lip plumping products. Finally, the last product in the collection is the Pure Color Envy Color Replenish Lip Balm (£25.00). If you are wanting a good all-rounder lip product, then this is the one I would recommend. 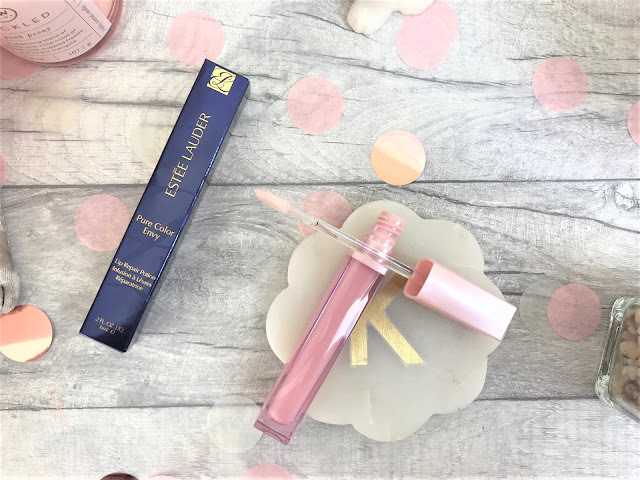 It is a super hydrating balm which adds moisture to the lips as well as using the same technology as the Lip Volumizer to add a personalised tint to the lips. The balm comes in a sleek lipstick bullet-style packaging which has a magnetic fastening so that you don't have to worry about it coming undone in your handbag. I found that it had a slight mint scent to it, and as soon as you apply it onto the lips they feel so nourished and hydrated. You can use the balm on bare lips for a hint of colour, under lipstick for an added touch of moisture and then as a touch-up throughout the day when your lips are feeling a little dry. 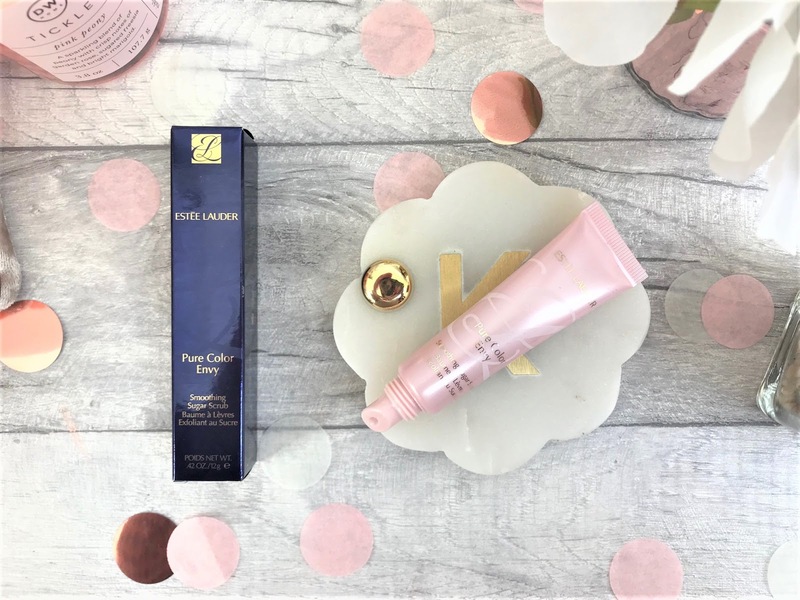 The Estee Lauder Pure Color Envy products aren't the cheapest around, but if you are wanting to perfect that pout with quality skincare, then I would highly recommend them. You can find them online at Estee Lauder.